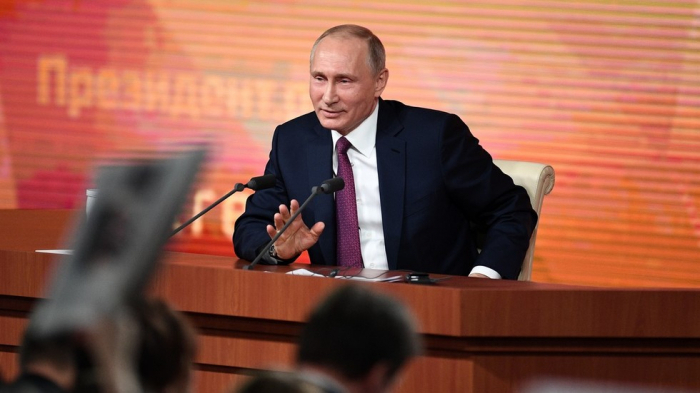 The tradition of holding Q&A sessions, which began in 2001, has become a less formal kind of state-of-the-nation report that addresses people living in Russia directly. Putin is making his 14th live TV appearance on Thursday. Russia wants that Ukraine, one of Russia’s largest trade partners despite all hostilities, was a peaceful nation in all its parts. But as long as Russia-haters that don’t take the interests of their people into account, there won’t be progress regardless of who the president of Russia is. Putin responds. Russia did not impose an economic blockade of Donbass, Kiev did. Ukrainian soldiers are shooting at people in Donbass, not Russian. Russia does provide aid to Donbass, but it’s a question of their survival. Putin criticizes Ukraine for staging a provocation in Kerch Strait. Says the success of the provocation is debatable. President Petro Poroshenko’s approval rating has grown a little, but he is still far from taking a lead position in opinion polls. As for the sailors, Putin says Kiev hoped the Russians would kill some of them. Their faith will be decided by the court. A question about the Kerch Strait incident and what would happen with the Ukrainian sailors, who were detained by Russia. And a second one about Maria Butina, a Russian national tried in the US for being an undeclared agent of the Russian government. The US forced Russia to develop new nuclear weapon systems by withdrawing from a treaty that banned national anti-ballistic missile technologies. Russia now has advantage, but it was its response to a change in balance. But the situation is certainly lamentable because it rises the stake for the entire humanity. Putin also warned against developing tactical nuclear warheads and conventional long-range ballistic missiles – both are dangerous because they increase the threat of an incidental nuclear war. A question about nuclear war. Some media are now printing stories about how a nuclear war between Russia and the US may happen. Putin says the threat of nuclear war is indeed seen less serious by people living today than during the Cold War. But it did not become less acute in reality. Linen and flax industry in Russia comes into the focus. Putin goes into details about changes in manufacturing in various industries in Russia, including textile. Acknowledges some industries need more incentives from the government, including textile, aviation and others. A question about infrastructure development needed in Novosibirsk, an academic city in Siberia. Putin promises support for the scientists, if they need it. Question about new taxes imposed on people, who live as providers of individual services like masseurs or nannies. Their income was not taxed previously. Added-value tax was also increased in 2018. Putin says the changes in fiscal policy are aimed at stabilizing budget and making it less dependent on taxing oil and gas industry. If you have a story you think we might be interested to know about please email our news team at azvisi[email protected] or phone +994 125975052 and ask to be put through to AzVision.